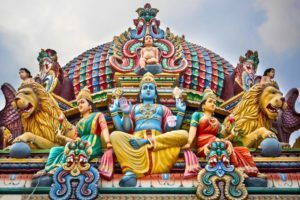 Prized for its beauty, culture, and economic growth, Singapore is sometimes referred to as “the Switzerland of Asia.” However, like Switzerland, Singapore’s status as a tax haven also makes it an attractive target for criminal investigations mounted by the IRS in conjunction with the Department of Justice. 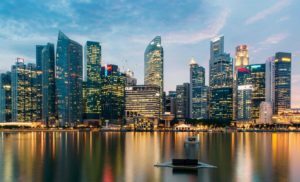 As a US expatriate living in Singapore, you must comply with tax reporting requirements mandated by the federal government — or risk the potential for debilitating civil penalties and even criminal prosecution. If you’re concerned about complying with income reporting regulations — or if you’d simply like to identify and maximize the foreign tax credits and deductions you may claim — Ted Kleinman CPA can help. Ted has more than 30 years of experience working with clients around the globe, and is prepared to negotiate aggressively with the IRS to protect your best interests. To set up a free and confidential consultation with Ted, call US Tax Help today at (541) 923-0903. Expatriation Tax: Am I A Covered Expatriate? You must file Form 8854 (Initial and Annual Expatriation Statement). Failure to do so constitutes a violation of IRC Section 877 and IRC Section 6039G, and can result in a fine of $10,000. You must file Form 8854 or risk the $10,000 penalty. You must also formally certify with the IRS your compliance with all reporting requirements during the five years leading up to the date of your expatriation. This certification will be closely checked. You are also subject to US tax on worldwide income for up to 10 years after expatriating. 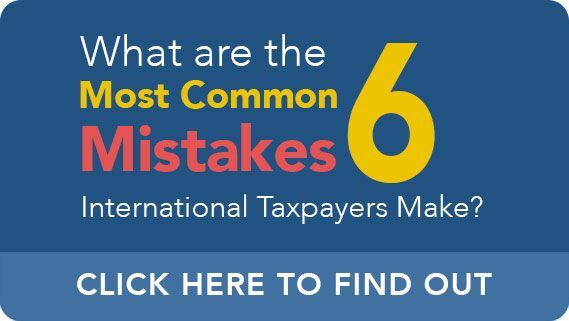 You will be treated as a US citizen until you file Form 8854. You had a net worth of $2,000,000 or more when you expatriated to Singapore. You were unable to certify tax compliance with the IRS (dating back five years before expatriating). As a covered expatriate, you must comply with the regulations contained within IRC Section 877A. Additionally, any gifts you make to US citizens, as well as any bequests (i.e. inheritance) are subject to exit tax. Even if you are working or living overseas, the federal government of the United States still requires you to disclose your global income. If you fail to report accounts or assets which you hold in countries outside the US, including Singapore, you may be investigated and even criminally prosecuted for tax violations, and may consequently be subject to tens or even hundreds of thousands of dollars in fines and years of incarceration, in addition to being burdened with a criminal record. In order to avoid or mitigate these penalties, it is very important to report all income as and when required to do so. You must file an FBAR (Report of Foreign Bank and Financial Accounts) if you are a US person — including US residents and US citizens, as well as various business structures — who had signature authority over or financial interest in one or more foreign bank accounts, provided the account value surpassed $10,000 at any time during the reporting year. Over $200,000 on the last day of the tax year. Over $300,000 at any point in the year. Over $400,000 on the last day of the tax year. Over $600,000 at any point in the year. Bear in mind there are extremely significant criminal and/or civil penalties for willful and even non-willful violations of all applicable reporting requirements. For example, non-willful failure to file an FBAR can result in a fine of $10,000 per violation. For willful violations, the penalties increase to either $100,000, or up to 50% of the balance in the offending account. If you’re an American expatriate living in Singapore and are concerned about compliance with your tax reporting requirements, it’s extremely important to contact a skilled CPA with experience handling international tax matters. To start discussing your situation and exploring your financial options in a free and private consultation, call CPA Ted Kleinman right away at (541) 923-0903.